My love for fried food is constantly trumped by the inches being added to my waistline, but I'm still a fried food lover at heart. I am always trying to find healthy (or simply, healthier) alternatives to my favorite fattening goodies. 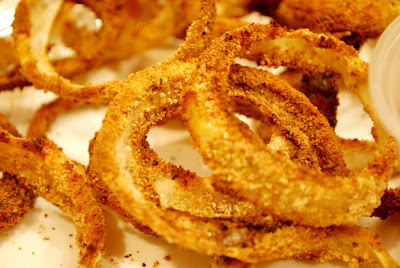 When we decided steak was for dinner, I needed a crispy, salty side to go along with it (and some veggies of course). 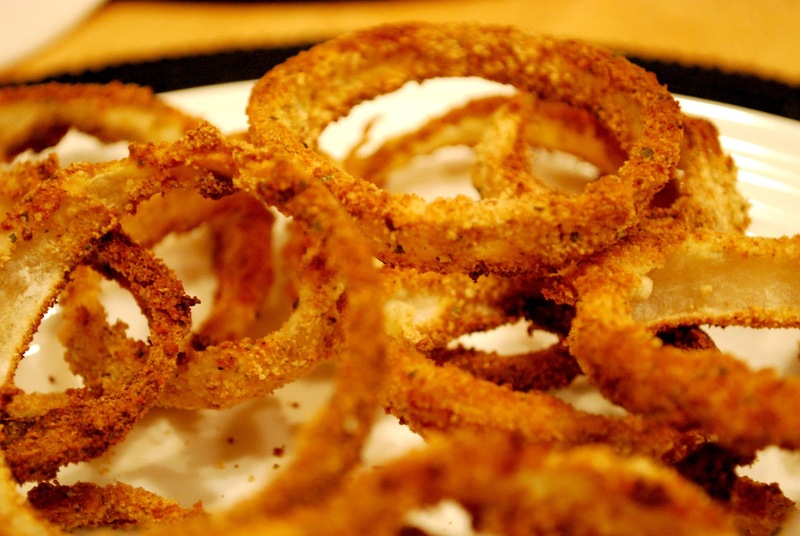 I decided to go with onion rings (original recipe here)--BAKED, not fried. And let me just say, they came out so delicious! 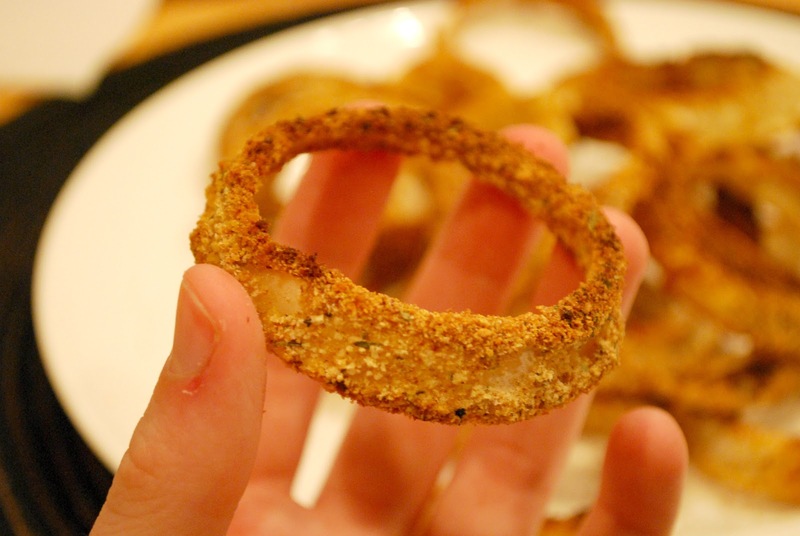 One thing I always worry about with baking instead of frying is getting that crispy texture and crunch that I love. This recipe did just the trick! Enjoy! 1. Preheat oven to 450 degrees. 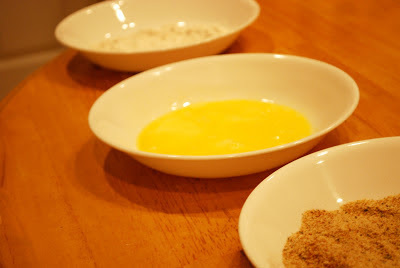 Coat baking sheets or pans with olive oil cooking spray. 2. Cut off ends of onion and peel. 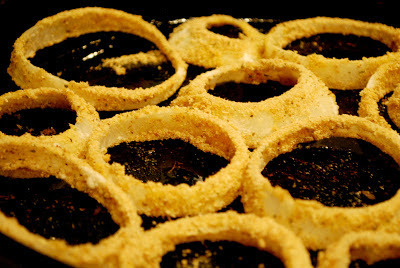 Then cut in 1/4-1/2 inch slices and separate into rings (thinner rings get crispier). 3. Place the rings in a bowl of cold water and let sit for about 10 minutes. 4. While onions are in water, combine flour and baking powder in one shallow bowl, beaten egg in another, and breadcrumbs, salt, and Old Bay seasoning (or seasoning of your choice). 5. One by one, dip each onion rings in flour, egg, and breadcrumb mixture and place on baking sheets. it's okay if not all surface are totally covered, they will still crisp up! 6. Bake for 10 minutes on one side. 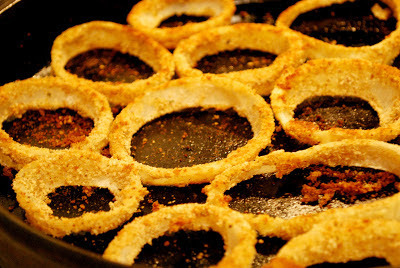 Then flip each individual ring and put back in the oven for another 8-10 minutes or when completely browned. Take out and enjoy! Serve with your favorite dipping sauce. 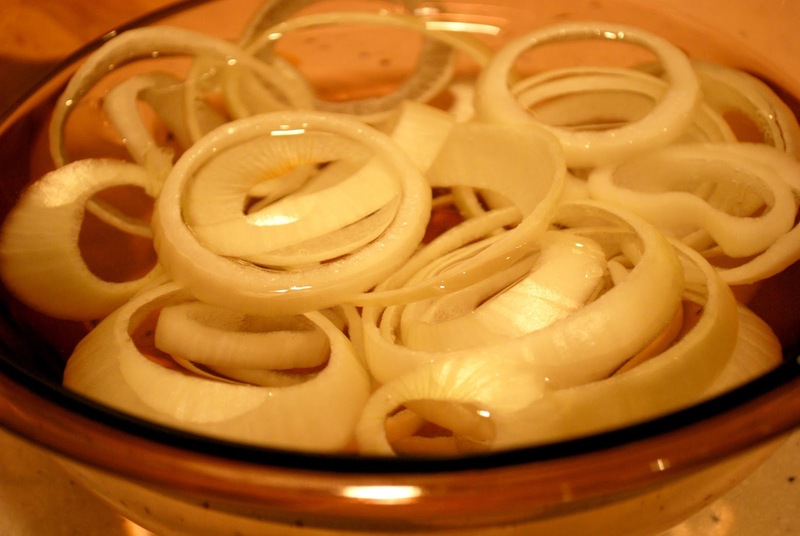 why do you soak the onions? To theoretically "firm" them up. I ate almost all myself...DELICIOUS! 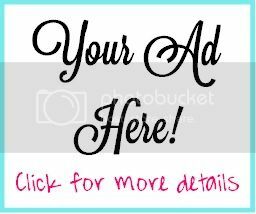 Could you use rice flour instead of wheat flour for those of us who are gluten intolerant? I am thinking of using crushed Corn Flakes instead of the bread crumbs. Not sure but think it should work. Has anyone tried this?? 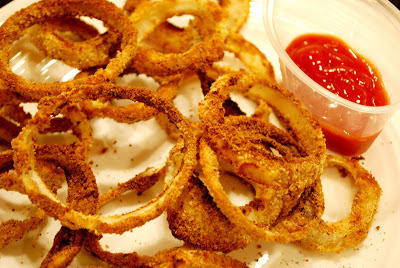 I just found out that those greasy fried ones are kind of addictive. I literally was getting sick munching on some tonight, saw them dripping with grease at the bottom of the bag, and decided to find a healthier substitute. This recipe looks really awesome. I'd like to try and cut the onions a bit smaller like those fried onion toppers and sprinkle them on my vegies. Now I can do that guilt free! Thanks!